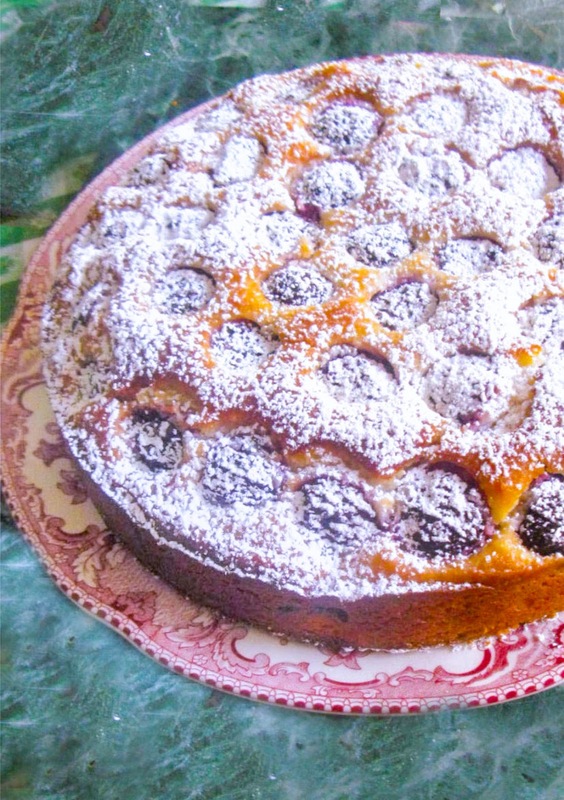 Southern Fresh Cherry Cake, quick and easy deliciously moist cake, made with self rising flour a touch of cornmeal, buttermilk, eggs, and butter. 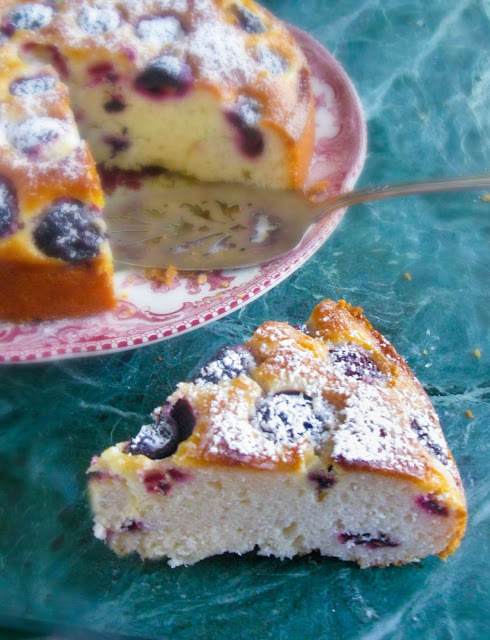 Serve it plain with a dollop of whip cream or as we did with a dusting of powdered sugar. The cherries are so plentiful in the grocery stores right now and what better way to showcase them than to make a Southern Fresh Cherry Cake. 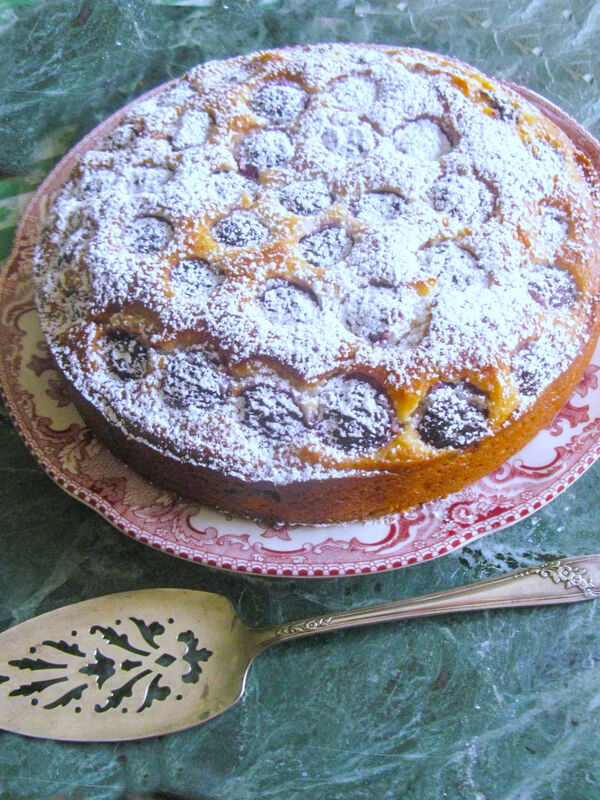 I actually had to buy a couple of bags of the cherries to have enough to make the cake. My grandsons are huge fans of these little jewels. Like most fruits, fresh cherries have the pros and cons. Fresh Cherries do not have a lot of nutritional value, but they are high in water content and are super beneficial to eat in the summer to hydrate. My Father was born on George Washington's birthday. The story goes that when little George was 6 years old, he received a hatchet as a gift. I guess back then that was the norm, not today. Well, anyway, after which he promptly went and cut down his father's favorite cherry tree. It was said that when his father found out about it, he was upset and confronted his son, and ask if he had indeed done it, to which little George replied he had. His words were "I shall not tell a lie." And with little George's honesty came an embrace from his father and he expressed to his son that honesty was worth more than a thousand trees. I was visiting my father's first cousin in South Carolina a few years after my father passed away. His cousin's wife had a picture of my father when he was 9 months old and asked if I would like it. Do you know what he was holding in the picture? Yes, a small hatchet. I cherish that picture to this day. One of the qualities of my father that I loved about him is he always wanted me to be honest. Southern Fresh Cherry Cake is dense yet tender, the ideal amount of cherry peeking through the cake and deliciously moist. I start off creaming the butter and sugar, add the eggs, buttermilk, and vanilla, blend well. 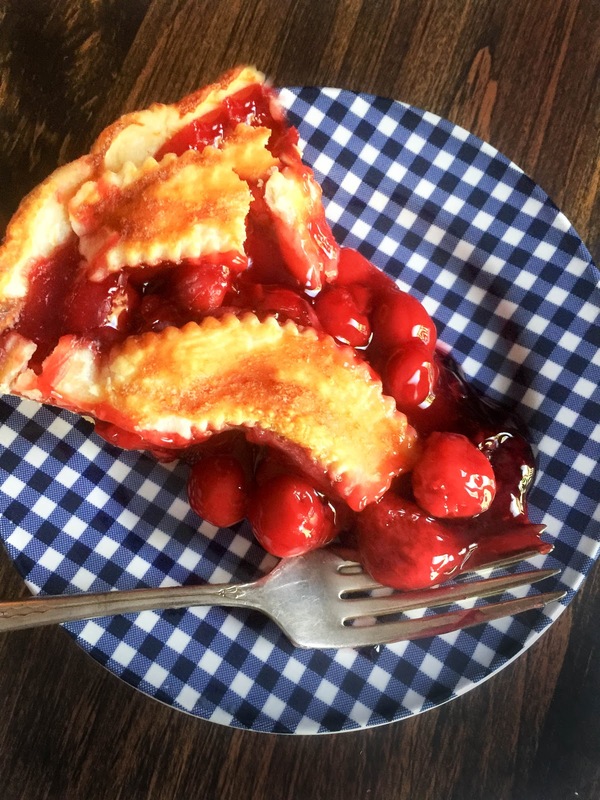 Mix the self rising flour and the white cornmeal together and fold along with half of the cherries into the wet ingredients. 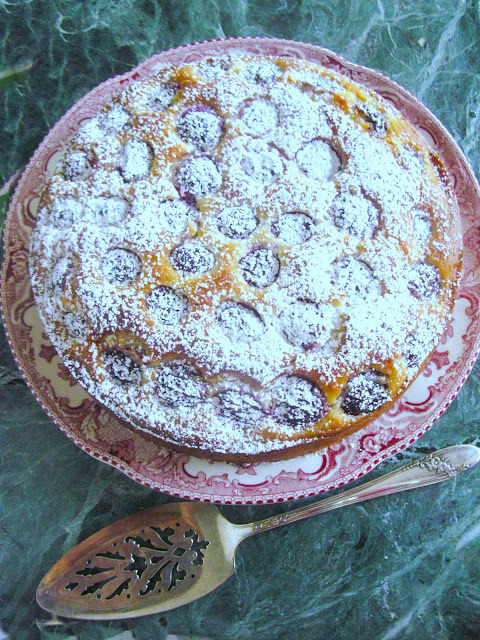 Lastly, arrange the remainder of the cherries on the top of the batter. I baked the cake in a parchment paper lined 9-inch springform pan. This way it is so easy to remove from the pan. 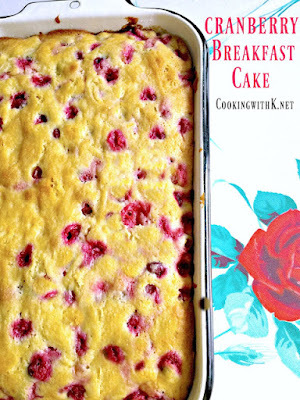 The parchment paper is easy to remove from the cake before placing on a cake plate. 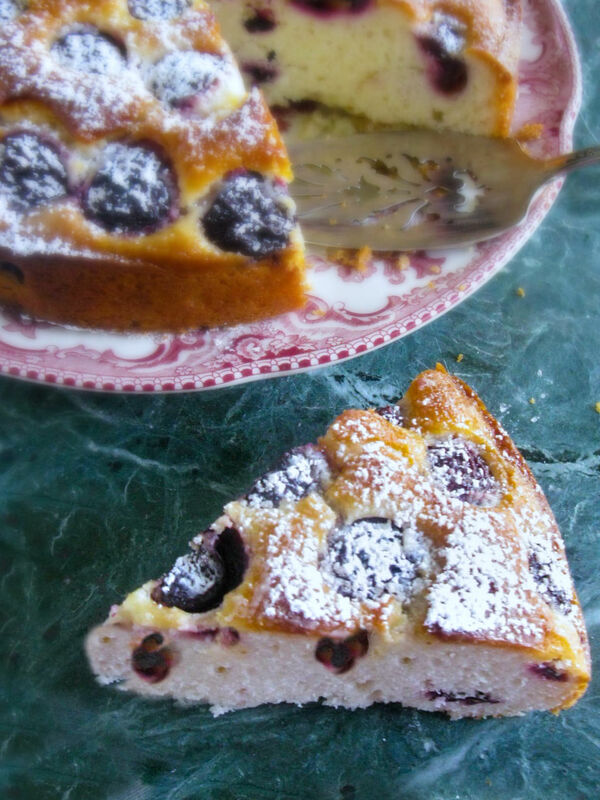 Southern Fresh Cherry Cake is perfect on its own with a cup of tea or coffee in the morning for breakfast or like us southerners in the afternoon as a snack. The first piece we at with a sprinkle of powdered sugar, the next piece heated with a pat of butter, and then for the final piece before it was all gone, with a scoop of ice cream. 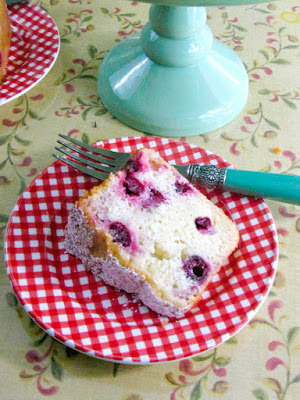 However, you choose to eat this beautiful Southern Fresh Cherry Cake, I hope you enjoy it! Quick and easy deliciously moist cake, made with self rising flour, a touch of cornmeal, buttermilk, eggs, and butter. Serve it plain with a dollop of whip cream or as we did with a dusting of powder sugar. Preheat oven 350 degrees F. Butter a 9-inch spring form pan and line the bottom with parchment paper. In the bowl to stand mixer, using the paddle attachment beat together butter and sugar for 3 minutes. Add the eggs one at a time beating after each one on low until well mixed and light in color. Add buttermilk and vanilla. Mix until all is combined; set aside. In a small bowl, mix together the self rising flour and white cornmeal. Using a large spatula fold the flour mixture into the wet ingredients until incorporated. Do not overmix; set aside. In a large bowl, mix and toss together the almond extract with the sliced cherries, being careful not to break up the cherries; set aside. Pour half of the batter in the prepared pan. Arrange the sliced cherries over the top of the cake batter. Pour remainder of the batter over the cherries. Smooth out the cake batter to the edge of the pan. Arrange the whole cherries across the top of the cake batter, slightly pushing down. Bake for 45-50 minutes or until a skewer inserted into the center comes out clean. Remove cake from oven and let rest on a cooling rack for 15-20 minutes before removing the outside ring. Remove the outside ring and let rest until cool enough to remove the parchment paper and place on a cake plate. Dust with a light sprinkle of powdered sugar. WOW! 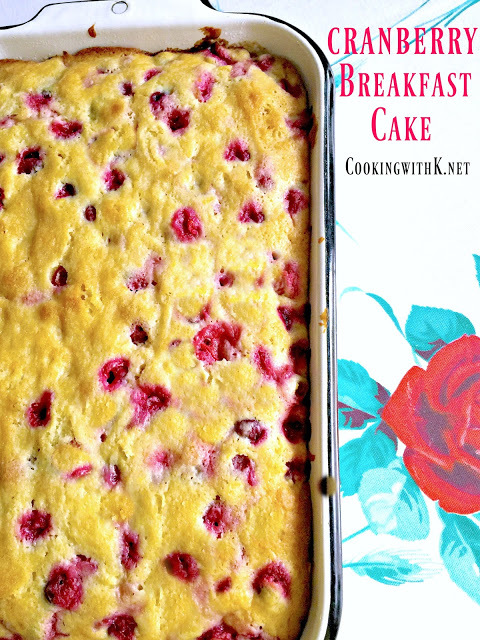 Would not have thought corn meal was in this cake. Interesting! !